Today at the Web 2.0 Summit in San Francisco, Zynga CEO Mark Pincus took the stage to talk about social gaming. 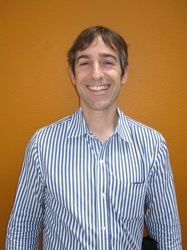 Pincus started out praising Facebook for opening the platform in 2007, which had led to the rise of companies like his. And they’ve come a long way. Zynga’s first game in July 2007 was a social poker game on Facebook, and just yesterday the company hit 50 million daily active users across its properties. Pincus believes that Web 3.0 is the App Economy. That is to say, it will be a web in which people use various apps to share things. And there will be money behind this thanks to direct payments, and social goods. Of its 50 million daily users,, 20 million are using Farmville, Zynga’s most popular game about yes, farming. Pincus announced on stage that they had made $830,000 in just two weeks selling a certain kind potato seed (a virtual good), and that they donated half of that to school children in Haiti. That money will feed 500 of them for a year, he says. There have been various reports around the web in recent months that Zynga is already making nine figures in revenues thanks largely to these social goods. They don’t get enough credit today for how revolutionary that was. 100 million users at the time. Our first game July 2007, social poker game. Monetization in Web 3 is users paying for stuff directly, a great idea. Farmville 20 million active users alone. Social plumbing – host portals – social applications. Facebook is plumbing and the portal. But don’t believe this is going to end with Facebook. There will be many forms of social plumbing and portals. Amazon in the future will be acquiring users from friends sharing not Google ad clicks. $830,00 worth of virtual special sweet potato seeds in Farmville in 2 weeks – half of that has gone to school children in Haiti. This will feed 500 school kids in Haiti for a year.